In April of this year, Wright State University, Ohio was the staging ground for equipping healthcare students to better handle the opioid crisis. A coalition of various local activism and healthcare improvement groups assembled an event to train more than 40 aspiring professionals about how to use naloxone. The group included medical students, healthcare-related undergraduate students, pharmaceutical students, and physician assistant students. Naloxone, the opioid antagonist used to block the effects of opioids notably in formulations such as Suboxone, has become ubiquitous in the fight against opioid overdose. Law enforcement and other emergency response forces have even begun to train to use it. Naloxone is a critical part of the opioid-dependence treatment. When bundled with buprenorphine in Suboxone, it acts to deter abuse of the opioid while ensuring that the patient does not undergo withdrawal. The opioid crisis is critically important to healthcare providers today. The CDC reports that 91 Americans die every single day from opioid overdose, including from prescription drugs. Training health practitioners to be able to respond to this is crucial in preventing unnecessary death and getting the proper treatment to these patients. To read more about the naloxone instruction at Wright University, please see the full article at the Sidney Daily News by following the link below. 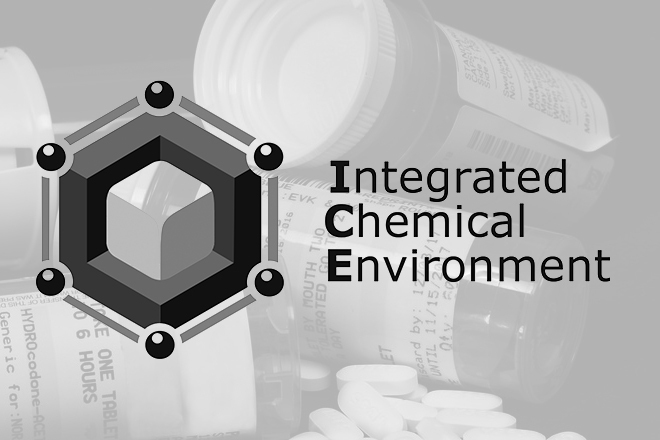 The US National Toxicology Program (NTP) has recently developed a crucial tool for clinicians and toxicologists alike called Integrated Chemical Environment (ICE). ICE is a central access point for toxicology references and for model predictions to a given substance or hazard. This tool allows robust scientific exploration of the interactions of various substances and can be used for exploratory purposes as well as predictive or confirming needs. Notably, ICE looks to implement a clinical tool called IVIVE. In-vivo-to-in-vitro extrapolation (IVIVE) is a predictive computational tool that enables analyses of substances and interactions from the womb to after birth. This tool can be used for a variety of critical functions past the obvious ones for neonatologists and obstetricians. Linking in vitro activity to in vivo exposures and outcomes can help toxicologists and physicians understand the pathways that drugs take and improve patient outcomes for those of all ages. The US NTP hopes to include tutorials and tools to enable people of all skill levels and backgrounds to use ICE. The tutorials should include simple answers to frequently-asked questions, guides on how to use various models, and other easily-digestible learning tools. These resources are currently under development. The US NTP predicts a 2018 launch date. A large-scale analytical study published by nonprofit FAIR Health earlier this month discovered correlations between the location of residence of patients, nationally and locally, and the rates at which they filed healthcare claims for opioids. Out of these cities, Philadelphia has the highest proportion of claims with opioid-related diagnoses in comparison to total claims across the state. Claims with opioid-related diagnoses in Los Angeles increased 31,897% from 2007 to 2016. San Antonio, Texas holds only 5% of Texas’ population but is responsible for 66% of claims with opioid-related diagnoses. In Illinois and Pennsylvania, males are more likely to file for claims with opioid-related diagnoses, although the gap narrows above age 50. In Acutis Diagnostics’ home state of New York, the researchers found that New York City constituted 43% of the population but only 13% of the claims with opioid-related diagnoses in the state. The researchers also found an age-related trend across the country. In suburban and rural settings, claims with opioid-related diagnoses were more concentrated among middle-aged people, whereas in cities, they were more broadly spread across all age-groups. The study did not claim to understand why these trends have manifested, but the authors offer the following advice. All stakeholders in healthcare including patients, providers, and the government should keep a keen eye on wide trends such as these to better understand the health crisis of this era. Here at Acutis Diagnostics, we are committed to staying at the forefront of healthcare knowledge to ensure that we can best serve the healthcare community. You can download the study by clicking the link to the study below. As the nation battles an opioid epidemic, clinicians across the country are forced to reconsider the abuse potential of a nerve pain medication - Gabapentin. Gabapentin, also prescribed as Neurontin, is a nerve pain medication used to treat a variety of conditions. Most notably, it is prescribed to treat seizures and neuropathic pain. It is so commonly used in the treatment of neuropathy that it has surpassed oxycodone in volume of doses prescribed. It’s prescribed for a broad swathe of off-label uses including treatment of anxiety, insomnia, bipolar disorder, restless leg syndrome, alcoholism, migraine, hot flashes, fibromyalgia, and many other conditions. But its frequent usage is not without its downsides. Gabapentin abuse does not get the attention it deserves from the healthcare industry. Even when prescribed and taken as directed by the company, it is possible that patients may experience ataxia, peripheral edema (swelling), drowsiness, and renal toxicity. However, patients who abuse the medication. When combined with opioids, gabapentin can provide a euphoric effect and mitigate opioid withdrawal symptoms. It can even provide a ‘boost of energy,’ as some patients and recreational users describe, or a ‘marijuana-like high’ as described by others. Gabapentin prescriptions are not slowing down! An IMS Health study noted that prescriptions for gabapentin have increased 47% in frequency from 2011 to 2015. In 2015, the same study notes, 57 million prescriptions for gabapentin were written nationwide. The way it’s used has been changing which may be driving the increasing volume of prescriptions. Gabapentin is not a controlled medication. The way this regulation was decided was based on the fact that it used to be use as a mono therapy, but it now is used alongside several other medications (most notably opioids!). Due to its radical shift regarding in the past decade how it’s used, it’s prompting questions about how to classify the medication. At Acutis Diagnostics, we aim to enrich the patient-provider experience by providing tools to build open, honest communication. Our toxicology and testing services are crucial to building transparency on the road to better health. We know that treatment is always high-priority so we provide a suite of timely services that you can learn more about at http://www.acutisdiagnostics.com/testing. For more information about the IMS Health study regarding volume of Gabapentin prescriptions written, please visit this link. This article was adapted from information presented in a USA Today article regarding gabapentin abuse and a Pharmacy Times article about the classification of gabapentin. Please visit the links below to access these articles.